Accomplished Hollywood actor David Ogden Stiers, best known for his role on long-running television sitcom MAS*H, as well as the voice of numerous characters in animated Disney films, has passed away. 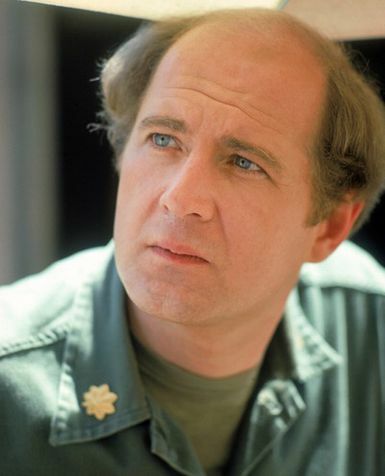 Mr Stiers began his career in Hollywood appearing in a number of television shows including Kojak and Charlie’s Angels, but it was his casting in popular army-based sitcom MAS*H in 1977, then into its sixth season, replacing the departing Larry Linville, for which he’s most fondly remembered. As the upper-crust Boston native Major Charles Emmerson Winchester III, Mr Stiers remained on the show until its final episode in 1983, snagging two Emmy Award nominations (and an ensemble win) for his portrayal. Away from MAS*H, Mr Stiers continued his guest-role status on numerous other television series, including Star Trek: The Next Generation, Matlock, Frasier and Perry Mason, while more recently had recurring roles in both Stargate: Atlantis and The Dead Zone. Mr Stiers was also a prolific voice actor, with innumerable credits in animated features and series to his name. One of his first major roles was that of Cogsworth, the talking clock, in Disney’s animated classic version of Beauty & The Beast, the only animated film to-date to be nominated for a Best Picture Oscar. 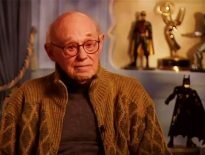 Stiers continued his long association with Disney for a further 7 feature films, including Pocahontas, The Hunchback Of Notre Dame, Atlantis: The Lost Empire and Lilo & Stitch, while in live action he had supporting roles in Jungle 2 Jungle, Frank Darabont’s The Majestic, and an uncredited narrator role in M Night Shyamalan’s The Lady In The Water. 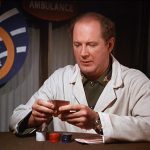 David Ogden Stiers passed away on March 3rd, aged 75.